Want to Learn more about your faith? Need an icon or prayer rope bracelet for a loved one’s special event? The Holy Trinity Bookstore has books, Icons, and religious items available. The bookstore is located in in the Church Basement and is open most Sundays after liturgy. Weekday shopping appointments can be made by calling the church office at (519) 438-7951. 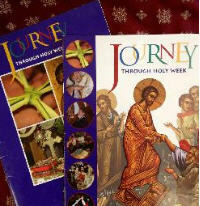 Are you in need of Lenten Gifts and Resources? Follow Christ and the Church from the Saturday of Lazarus to the Agape Vespers service. This zine pinpoints the relevance and meaning of the services, hymns, Scripture, icons, traditions and history. 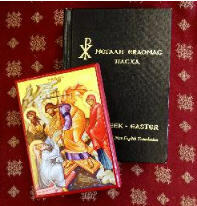 The Resurrection Icon made by Legacy Icons alongside the hard cover book that is a greathelp in following every service during Holy Week. 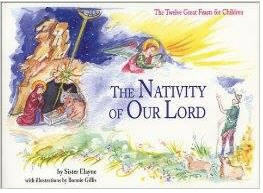 From Palm Sunday through the Easter Sunday Agape Vespers Our favourite Christmas Books for kids!! You can buy these books and many more at our Orthodox Book Centre. Essential for every home and dorm room! 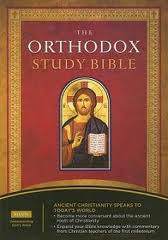 Along with commentary from the Church Fathers and contemporary Orthodox Christian theologians, this complete study Bible includes full-colour icons, morning and evening prayers, and other study helps.